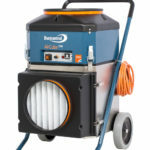 CAS-Hire’s DACA1200 is mid range portable, tough and high effective air cleaner which works ideally in between performance levels of the DCAC500 and DCAC2000. 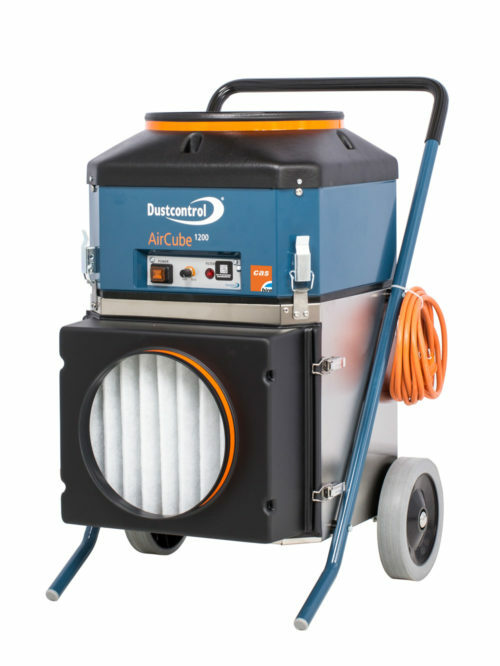 CAS-Hire’s DCAC1200 is mid range portable, tough and high effective air cleaner which works ideally in between performance levels of the DCAC500 and DCAC2000. 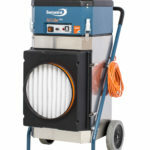 Due to its highly efficient operation it can also be operate in reasonably large rooms as it cleans air up to 1100 m3/h. The DCAC1200 in manufactured from stainless steel sheet metal and designed to withstand some of the more demanding working conditions. The DCAC1200 fan is a radial blower coupled to specifically designed scroll to improve high pressure throughout its complete performance range. 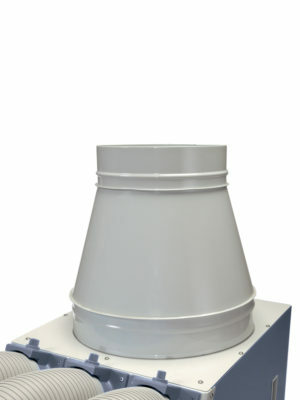 This allows the DCAC1200 unit to produce high amounts of airflow throughout the entire lifetime of the filter. It has a filter indication light which illuminates when it’s time to replace the filter. 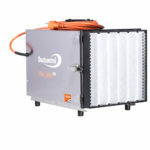 The DCAC1200 portable air cube air cleaner is also has a variable fan speed controller which allows you to save energy. An additional exhaust hose can be used to create negative pressure in a sealed room. This air cleaner is not to be used for asbestos removal or air cleaning where asbestos particulate matter is openly found. Metal Hot Air Discharge Reducer Adapter £78.65 ex. VAT. Woods MRD-14 Dehumidifier £158.33 ex. VAT. 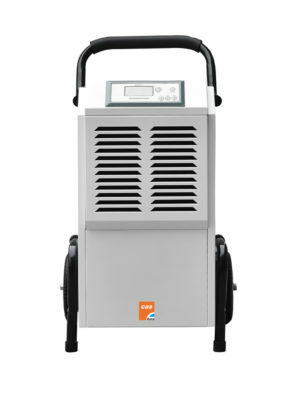 DFE40T Industrial Heater £603.90 ex. VAT.